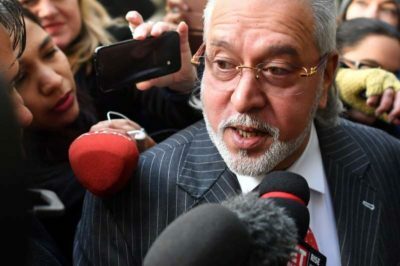 Born on the 18th Dec. 1955 as per https://en.wikipedia.org/wiki/Vijay_Mallya and I have written so many articles on him. As per Jyotish Classics when Ketu Transitts over the natal Venus and Eclipses also take place in this sign then it is time of Disaster for the native , specially when the Nodes are not Benefic in the chart . Over the sign Sagitarius it is most taxing as per my Reaserch and the Article mentioned herein. The Cycle of Rahu in our life acquires a specialy dimension and when Ketu comes over the natal Rahu and Rahu over the natl Ketu then if Rahu is not benefic in the chart it brings a down fall when the Sub dasha of a Planet is also in operation and the Eclipses are taking place in the 1/7 axis of the Ascendant, Sun, Moon or the 8th house . Vijay Mallya has Sun in the sign Sagitarius at 2 degrees and as per Jyotish Classics when Eclipses take place in the sign Sagitarius then the Kings have a Down fall. it may be the worst time now after 23rd March 2019 to 26th Dec. 2019 when the solar Eclipse takes place over the sign Sagitarius. Mallya will have to Retrun to India. The time Frame from 7th March to 30th March 2019 seems to be the Most malefic for him and specially the 23rd March 2019 . ← War Between Mamta and CBI Escalates : What Stars Foretell ?